Nearly 20 years ago (1998) we were the very first website to place any of Clarence Larkin's charts on the internet. 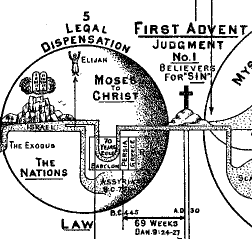 I always admired Larkin's charts for their Scriptural accuracy and ingenious design. After nearly 100 years they are still powerful images. A few years ago we redrew some of Clarence Larkin's best charts in high resolution and in color using Corel Draw. It was quite a time consuming task and we were only replicating and enhancing them; we didn't have to design or verify them as Larkin did. He was a very capable man. 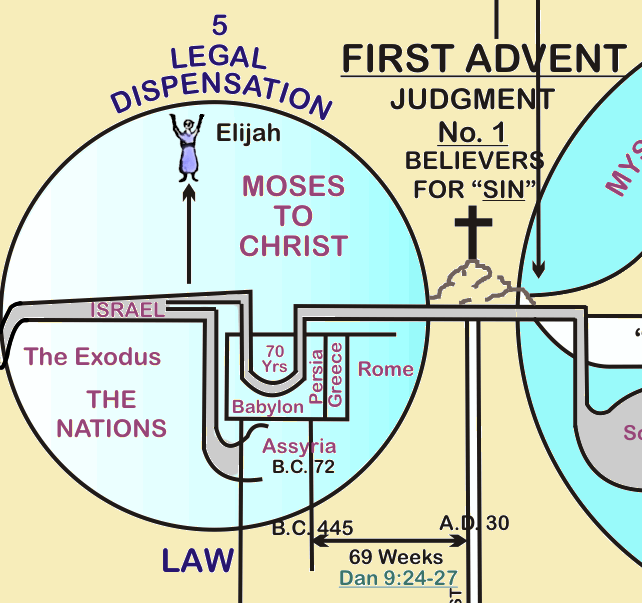 I originally was going to redraw five charts and offer them as a set in our Bible Analyzer program and also offer the high resolution editions to believers who could use them in various ways. However, I only got four completed and the project was set aside. 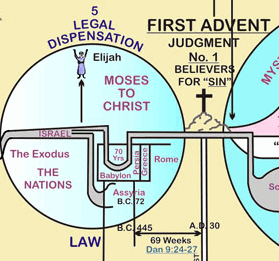 When we made the charts I "mapped" the coordinates of all the Bible references in them for Bible Analyzer so the text would popup on mouseover. This made the charts come alive with Scripture. In the meanwhile the Lord allowed us to develop our PopVerse Extension for the Chrome web browser that does much the same with web pages. PopVerse will automatically link Bible references on any web page and display the text of the references in a popup or separate window. All four mapped charts will be available in a reasonable viewing resolution below. This is much larger (5000px in width) and supplies enough detail for any purpose from printing to projector usage. (They can be sliced up into separate images for use as a teaching series, for instance). We offer these high resolution images as PNG files for $5 each. See this page if interested - PreservedWords.com Store. The standard resolution images can be viewed below.